Humphrey Bogart is an American Army officer expelled on false charges of treason. In a shipboard scene, ju-jitsu exercises performed by Chinese sailors are compared to the initiatory nature of Freemasonry. Mary Astor, Sydney Greenstreet. Directed by John Huston. USA, English. 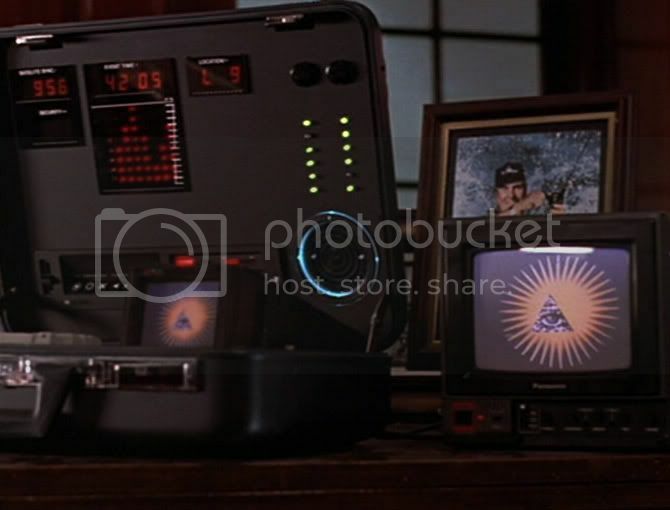 Christopher Walken plays Cagliostro, self-styled "the Grand Master of the Illuminati", while Jonathan Pryce, as Bishop Rohen, hides his personal correspondence behind a panel in a desk decorated with masonic symbols. Hilary Swank, Jonathan Pryce, Adrien Brody, Brian Cox, Joely Richardson, Christopher Walken. Directed by Charles Shyer, written by John Sweet. Drama R 117 min., USA, English. Technicolor. Based on a play by C. Logenbr\'9fder in which two non-masons attempt to convince others that they are masons. John Barrymore, Helen Freeman, Charles Dixon, Harold Lockwood. Directed by Thomas N. Heffron, written by Leo Ditrichstein (play) Eve Unsell. USA, English. Black and White, Silent. (Comedy) . 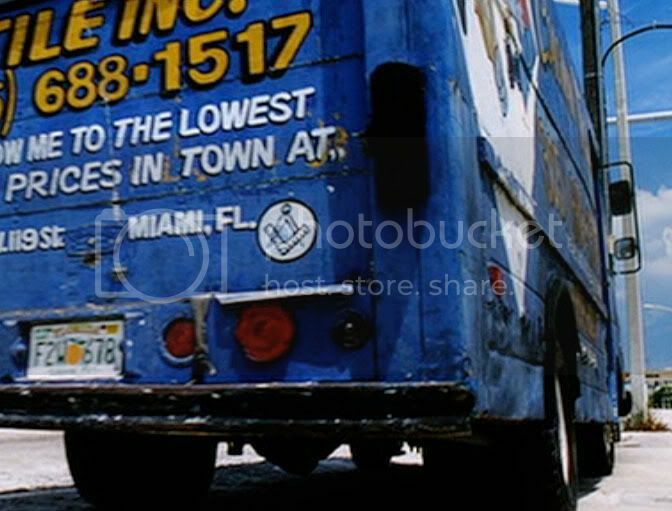 Narcotics officers Mike Lowrey (Will Smith) and Marcus Bennett (Martin Lawrence) use a tile installer's truck, with a square and compasses sticker over the back bumper [00:18:00]. Martin Lawrence, Will Smith, Jordi Moll\'88, Gabrielle Union, Peter Stormare. Directed by Michael Bay, written by George Gallo, Marianne Wibberley. 150 min. USA, English, Colour (Comedy). Mel Gibson, as programmed assassin turned cabbie, Jerry Fletcher, says "I mean George Bush knew what he was saying when he said New World Order, you remember those fatal words, New World Order? 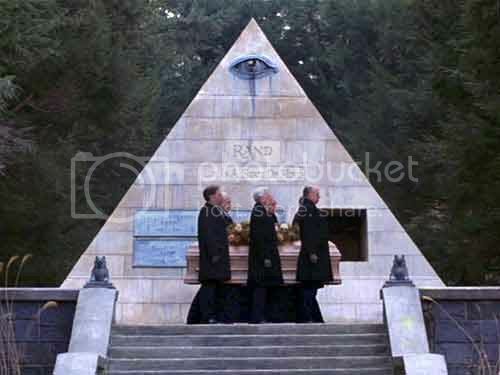 Well he was a 33rd degree mason you know and an ex director of the CIA." [00:01:40]. Sandra Bullock, as justice department lawyer, Alice Sutton, says: "I suppose they have a secret handshake." [00:38:29]. Other references, if intended as such, are less obvious. Mel Gibson, Julia Roberts, Patrick Stewart. Directed by Richard Donner, written by Brian Helgeland. 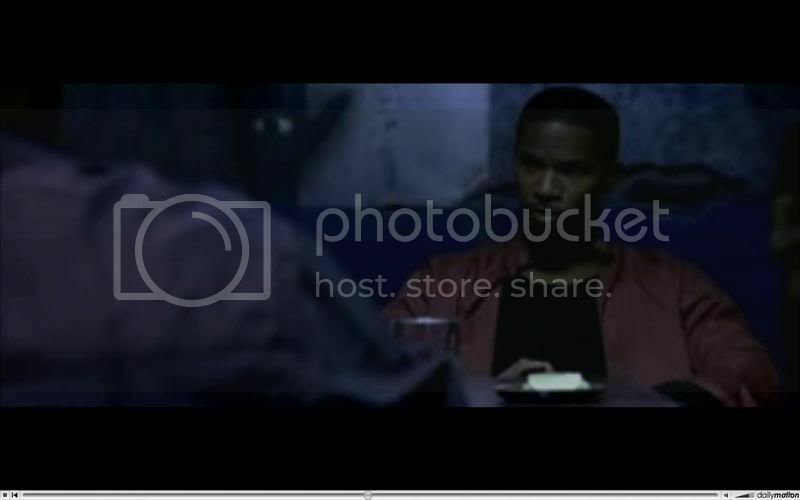 Warner Bros. 129 min., USA, English, Colour (Drama). Last edited by humito; 10-01-2009 at 02:40 PM. Delores' bank manager\'d1who is wearing a square and compasses lapel pin\'d1 tells her that her husband has emptied their joint savings account. Kathy Bates as Dolores Claiborne, Jennifer Jason Leigh, Judy Parfitt, Christopher Plummer. Directed by Taylor Hackford, written by Stephen King (book), screenplay by Tony Gilroy. 132 min., USA, English. Dolby Digital, Technocolour. 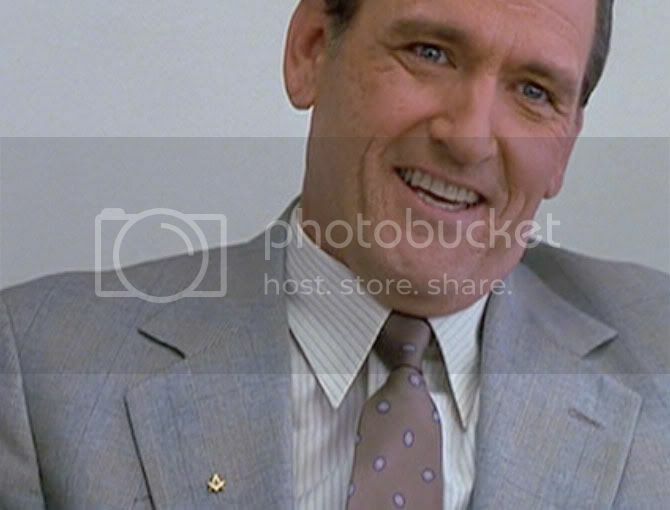 Edward Andrews as real estate agent, George F. Babbitt, says, "Do you realize that practically every American president was a mason and a Protestant?" He later exclaims, "I'm in business! I'm a thirty-second degree mason!" Burt Lancaster, Jean Simmons, Shirley Jones. 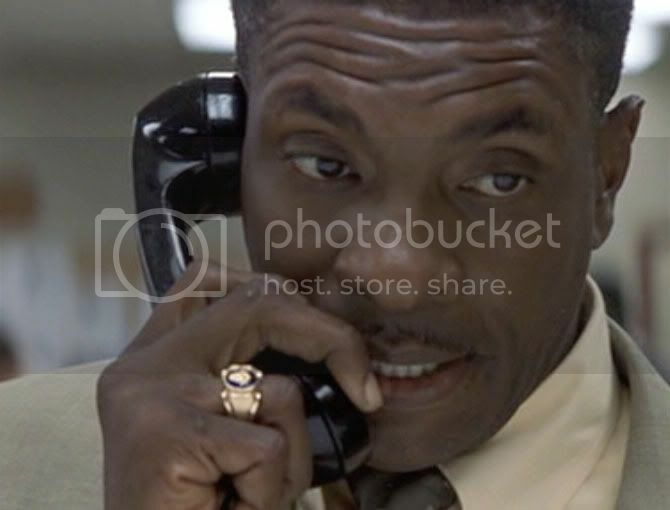 Directed and written by Richard Brooks. Novel by Sinclair Lewis (1885-1951). Fox, MGM, 146 min. USA, English, Color. 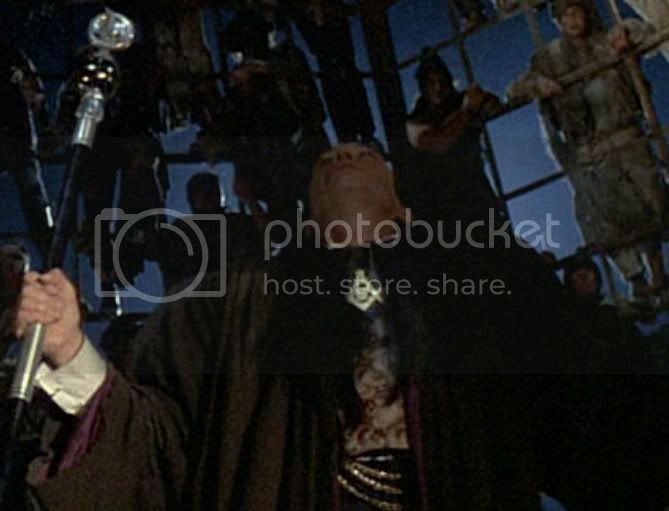 Arnold Schwartzenegger plays a former police officer who carries an amulet. 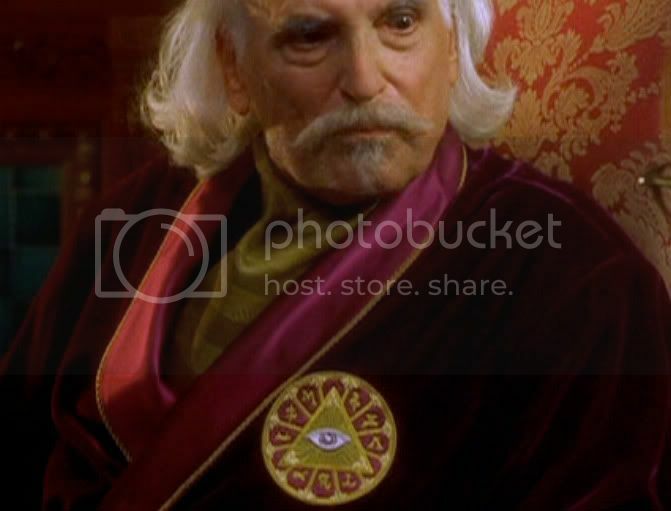 At one point he says "Now this amulet is from a masonic order in the former sub-heredom of the Vatican Knights, the Knights of the Holy See. They await the return of the dark angel to earth." 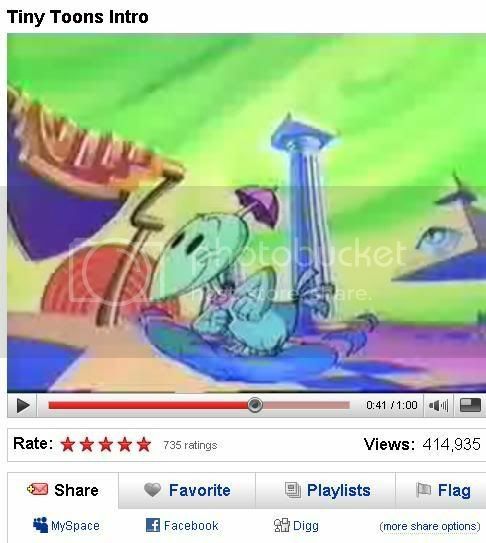 Also, during the opening titles Elephis Levi's baphomet can be briefly seen. 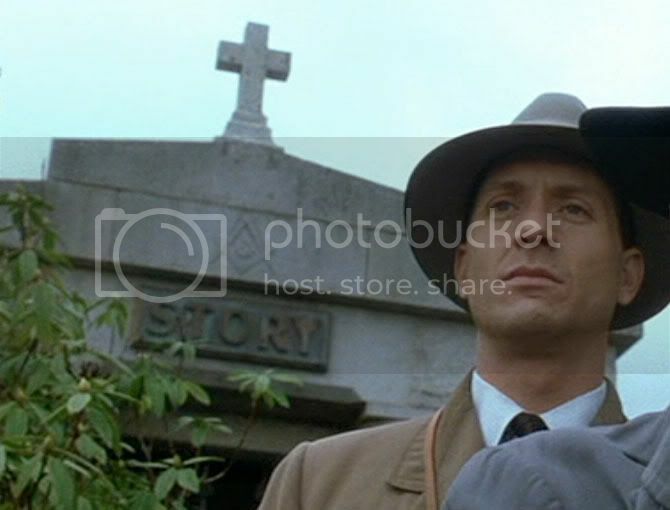 Gabriel Byrne, Kevin Pollak, Rod Steiger. Directed by Peter Hyams, written by Andrew W. Marlowe. Implicates the Craft as being responsible for the Whitechapel murders in London. 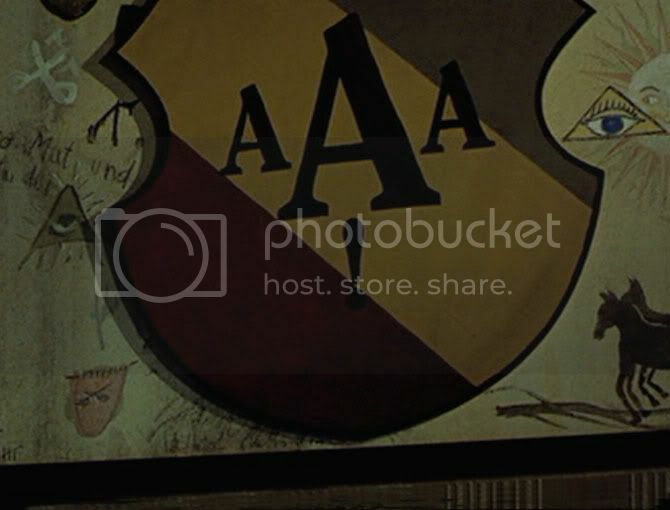 The many masonic images and references places this movie in the catagory of intentional anti-masonry. Johnny Depp, Heather Graham, Ian Holm. Directed by Albert Hughes, based on a graphic novel written by Alan Moore, Eddie Campbell. USA, English, 121 min., Colour. 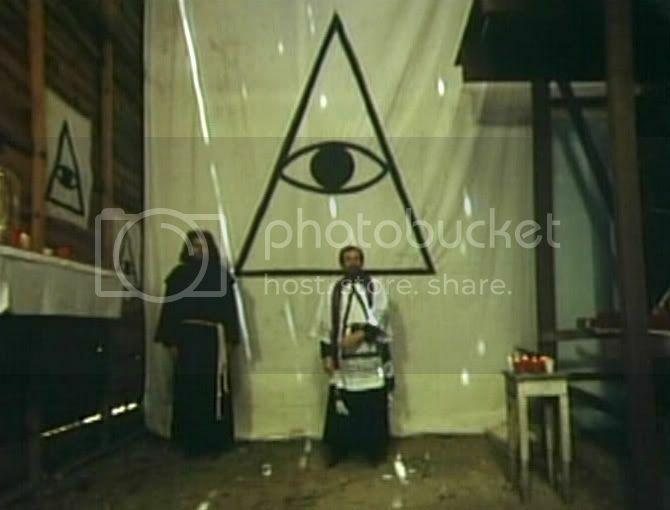 Although no link is made with Freemasonry, in this movie the Illuminati are perceived as a group of "devious dangerous men who seek to fulfil an ancient prophesy." 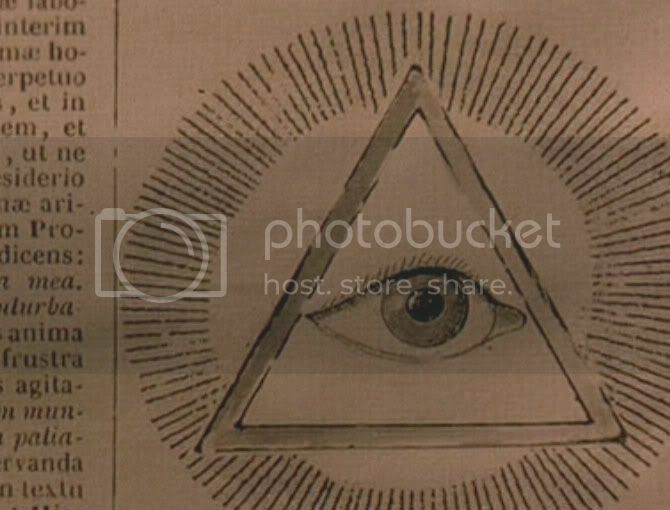 The Illuminati has no contemporary masonic link, and the eye in a triangle has no unique masonic significance. 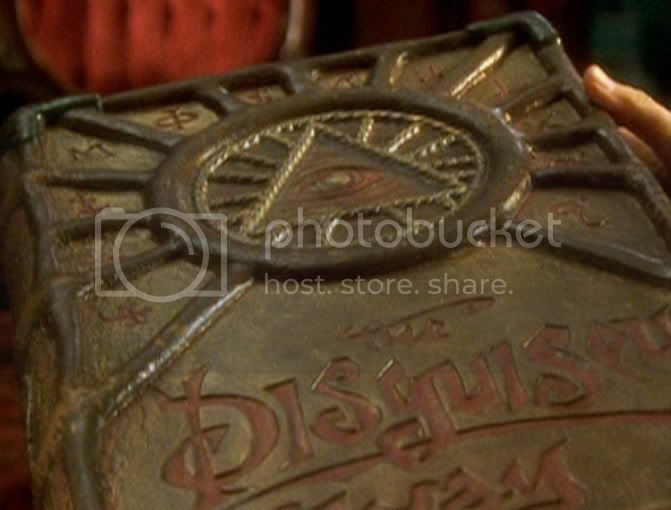 But their popular association with Freemasonry in fiction requires that their use in this movie be noted on this page. Directed by Simon West, written by Sara B. Cooper and Mike Werb. Angelina Jolie, Jon Voight, Iain Glen, Noah Taylor, Daniel Craig. 100 min. USA, English. Colour (DeLuxe), Dolby Digital. (Action). The head lion's partner carries a cane with two balls attached to it. While not explicitely masonic, freemasons will recognize a common masonic pun. Animation: voices- Rowan Atkinson, Matthew Broderick, Niketa Calame, Whoopi Goldberg. Directed by Roger Allers, Rob Minkoff, written by Jim Capobianco, Irene Mecchi. English, 89 min. Disney animation. British diplomat Robert Conway and three others crash land in the Himalayas, and are rescued by the people of the mysterious, Eden-like valley of Shangri-la. Edward Everett Horton is interrupted, as he exclaims, "I've just finished translating one of the most interesting old tablets you can imagine. It told me all about the origin of the masonic symbols and science and...." Ronald Colman as Conway, Edward Everett Horton as Alexander P. Lovett. Directed by Frank Capra, written by James Hilton & Robert Riskin. 132 min., USA, English, b&w. Based on a Rudyard Kipling story. Mercenary soldiers convince Kafiristan tribespeople that they are gods after discovering masonic symbols on religious artifacts. Sean Connery, Michael Caine. Directed by John Huston. 129 min. UK/USA, English, Colour. (Drama/Action). A former FBI profiler moves his family from Washington DC to Seattle, where he joins the Millenium Group, a mysterious organization of former law enforcement officers, committed to battling a crime wave which grows as the turn of the millenium approaches. Michael Palin, Hosting the gameshow "Blackmail", at 17333 on DVD counter. Script Reads: Thank you Onan! And now: a letter, a hotel registration book, and a series of photographs, which could add up to divorce, premature retirement, and possible criminal proceedings for a company director in Bromsgrove. He's a freemason, and a conservative M.P., so that's 3,000 pounds please Mr. S... thank you... to stop us from revealing: Your name. The name of the three other people involved, The youth organization to which they belonged, and The shop where you bought the equipment! Benjamin Franklin Gates, played by Nicholas Cage, descends from a family of treasure-seekers who've all hunted for the same thing: a war chest hidden by the American founding fathers. 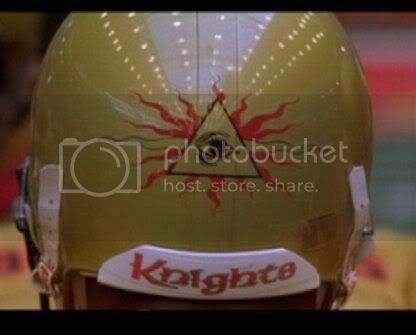 This movie is yet another fictional attempt to link the freemasons, the Knights Templar and the founding of the USA through the use of various symbols. Nicolas Cage, Justin Bartha, Sean Bean, Diane Kruger, Harvey Keitel, Christopher Plummer, Jon Voight. Directed by Jon Turteltaub, written by Ted Elliott, E. Max Frye. USA, English. Colour, Stereo. (Adventure). The Internet Movie Database lists this film under the keyword "freemason" without giving details. Trond Peter Stams\'bf Munch, Kristian Figenschow, Guri Johnson. directed by Morten Kolstad, written by Bj\'bfrn-Erik Hanssen. 93 min Norway / Denmark, Norwegian. Color. 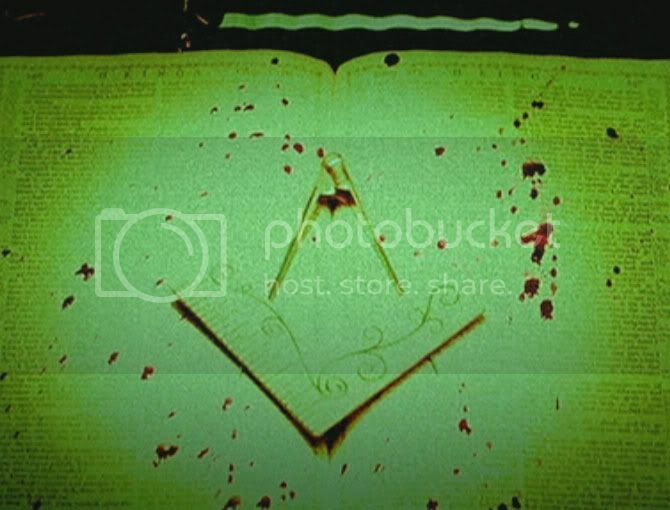 A group of girls at a boarding school re-enact a masonic ritual based on one girl's deceased father's ritual book. Helen Lindesey, Anne Campbell-Jones, Daisy Cockburn, Directed by Gavin Millar. British. In 1943 Czechoslovakia a police officer warns a nightclub crowd that they will have no mercy on "Jew-Bolshevists, Freemasons, plutocrats and other riff-raff." [01:43:20] (Obchod na Korze) Id Kaminsk, Josef Kroner. Directed by Jn Kadr & Elmar Klos, screenplay by L. Grosman, Jn Kadr & Elmar Klos. 1965. 125 min. Czechoslovakia, Czechoslovakian, Filmov\'8e Studio Barrandov. b&w, mono.
" 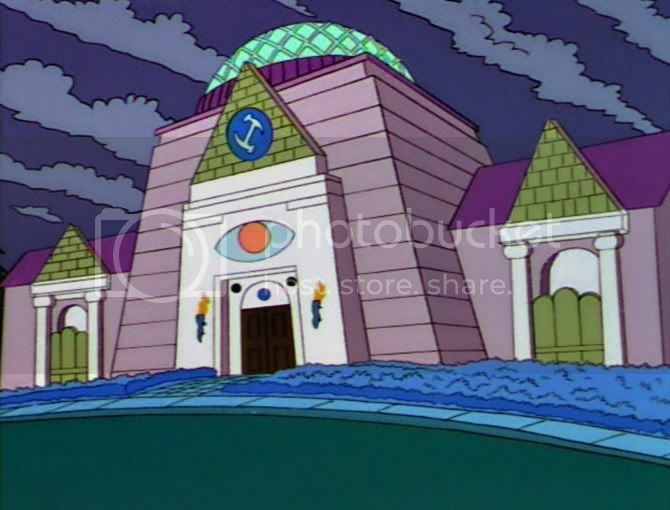 The reason these guys are being forgotten though, is that they're not freemasons. 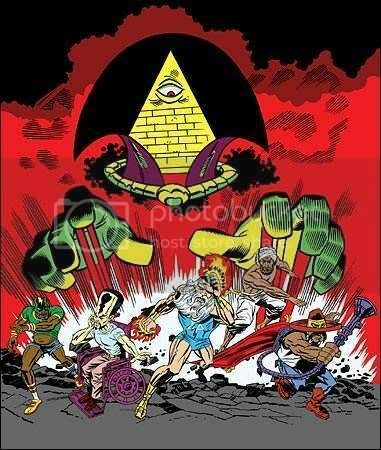 The masons are the one's that control history. Look at it, every... every president but one: mason. Every man that's walked on the moon... thirty-third degree mason. I mean, look at the Warren commission, a Shriner convention without go-carts." " Exactly. The slate of American history needs to be wiped clean. We need to start all over again. Let's put Larry Fieman in the history books. Let's put Squeaky Fromme on the one dollar bill." In the year 1936 a global war begins. This war drags out over many decades ... Raymond Massey as John Cabal/Oswald Cabal makes a reference to "The brotherhood of efficiency. The freemasonry of science." [00:36:00] A later reference to "our children's children" and the framing of many shots by pillars or arches is not necessarily significant. Edward Chapman as Pippa Passworthy/Raymond Passworthy, Ralph Richardson as The Boss, Margaretta Scott as Roxana/Rowena. Directed by William Cameron Menzies, Writing credits: H.G. Wells (also novel The Shape of Things to Come) AKA: The Shape of Things to Come. UK, English, 100 min., b&w, Mono. A time travelling epic fantasy. One of the band of dwarves is seen wearing a heavy medallian possibly incorporating a square and compasses. John Cleese, Sean Connery, Shelly Duvall. Directed by Terry Gilliam, written by Michael Palin. UK, English, 110 min., Colour , Stereo. (Sci-Fi). Based on H. G. Wells' 1895 novel. 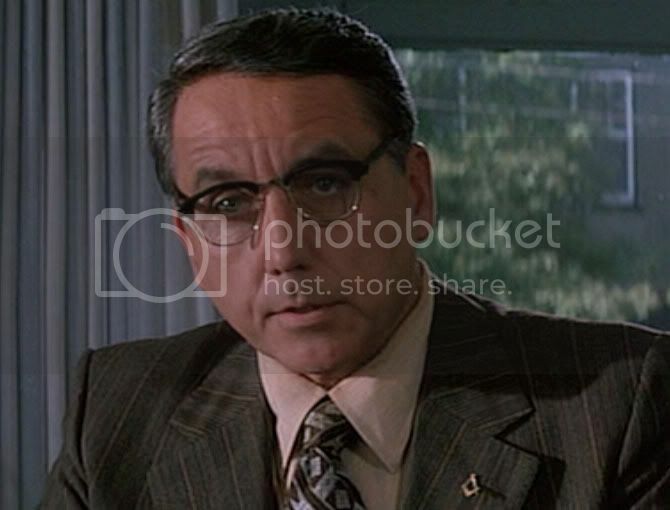 David Filby, played by Alan Young, says to George Wells, played by Rod Taylor: "George, I speak to you as a friend, and even more, as a brother...." although the characters are not related. This line does not appear in the novel. Filby and his four friends all wear watch fobs but none are seen in enough detail to determine if they are masonic. Referring to a hypothetical time traveller, George alludes to another H. G. Wells novel when he says, "Can he change the shape of things to come?" [See Things to Come, above.] Rod Taylor, Alan Young, Yvette Mimieux, Sebastian Cabot. Directed by George Pal, written by H. G. Wells (novel), David Duncan. 103 min. USA, English. Metrocolour, Stereo (Drama). A retelling of the gunfight at the OK Corral and its aftermath. Jon Tenney, as John Behan, Cochise County Sheriff wears a square and compasses watchfob. Buck Taylor, as Turkey Creek Jack Johnson, wearing a square and compasses pendant responds to Val Kilmer's Doc Holliday saying he has no friends by saying, "Hell, I've got lots of friends." Kurt Russell, Val Kilmer. Directed by George P. Cosmatos, written by Kevin Jarre. USA, English. 130 min. Dolby, Technicolor (Western). 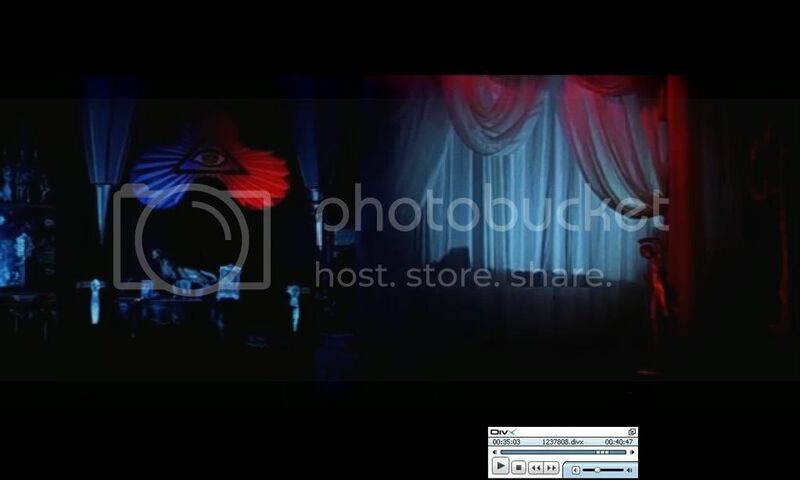 Although there are no masonic references in this movie, anti-masons and those unclear on the distinction between real-world Freemasonry and the iconography of the conspiracy mythos see a private club as representing a masonic secret society. In one scene a character is seen sitting in a throne-like chair [01:16:38], the back of which is surmounted by a globe over two eagles. Tom Cruise, Nicole Kidman. Directed by Stanley Kubrick, written by Arthur Schnitzler. 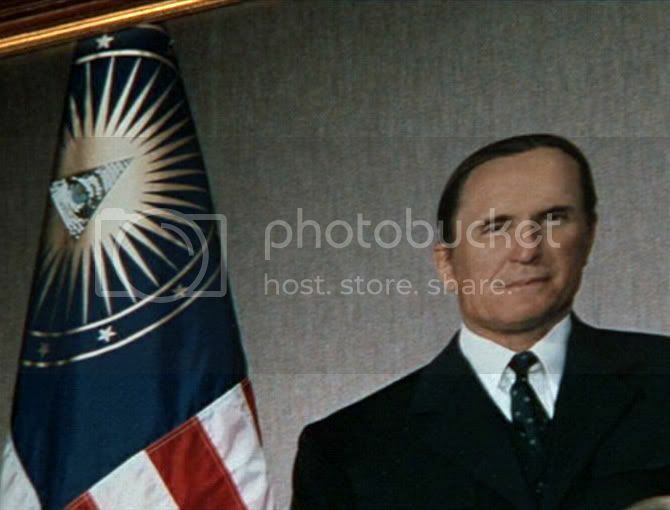 USA, English, Color"
That movie is nothing BUT masonic symbolism. Explorers are we, intrepid and boldOut in the wild amongst wonders untold. Equipped with our wits a map and a snackWe're searching for fun and we're on the right track. Last edited by humito; 10-01-2009 at 08:29 PM. any others to add to the list ? 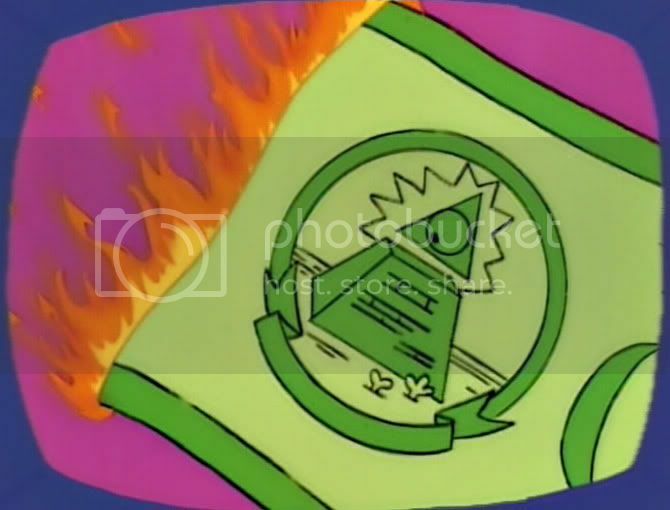 The Simpsons - "Lisa vs. Malibu Stacy"
The Simpsons - "Burns' Heir"
dunno the name of the film but obviously Mark Wahlberg played in it..
the all-seeing eye is used to represent God, the creator, in the opening of a sequence depicting the history of the progress and evolution of life on Earth, using Stravinsky's "Firebird" as a theme. The hero, a carnival strongman named One was once a whale harpooner until he heard the whales sing. His little brother, Denree, is kidnapped by the Cyclops, a fanatical sect who also traffic in stolen children, to be sold to Krank, an inventor who steals their dreams. As a further symbol of malevolent power, Krank wears a ring depicting a snake eating its tail [01:17:37]. QUE L'ETERNAL VOUS REGARDE QU IL JUGE across the bottom. 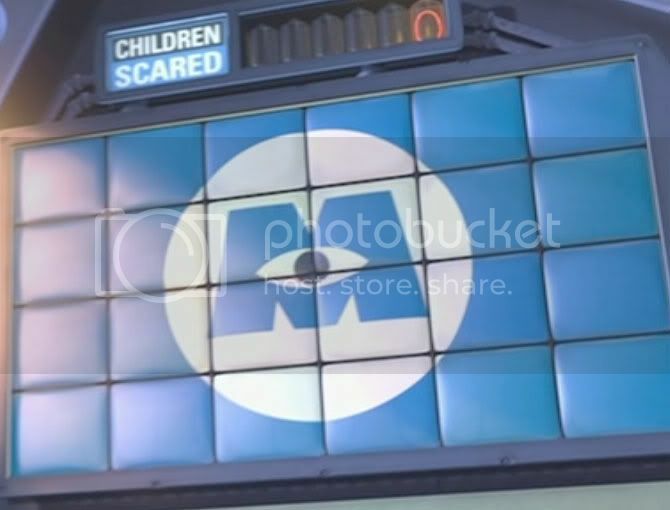 Another vehicle with the same logo is seen at [00:19:17]. Blasting from a loudspeaker on the vehicle can be heard: "...the true light. Renounce the gift of sight and penetrate the corridor of shadows, the world of the blind. Help us build a better world or we shall witness a reign of terror." 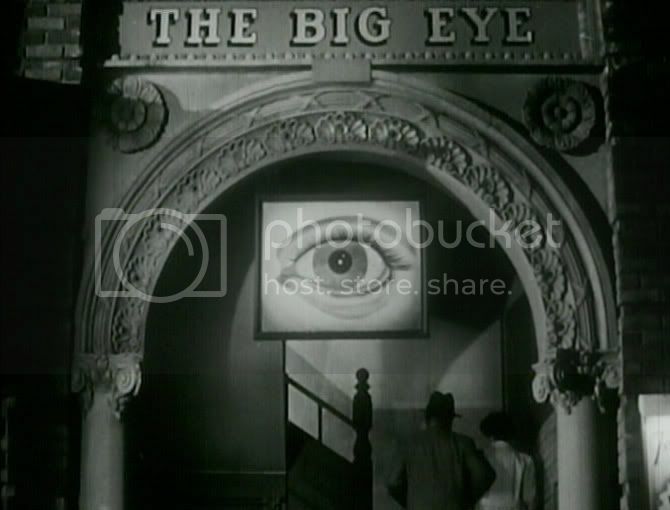 The logo is seen again on a wall behind an assembly of the Cyclops [00:29:19] while their leader proclaims: "Only the third eye will enable you to enter the world of appearances but beware because this sordid world of temptation and perversion is also the world of desire. Directed by Kinka Usher, written by Bob Burden (comic book series by Dark Horse written by Neil Cuthbert). Directed by Albert Hughes, features Johnny Depp.. 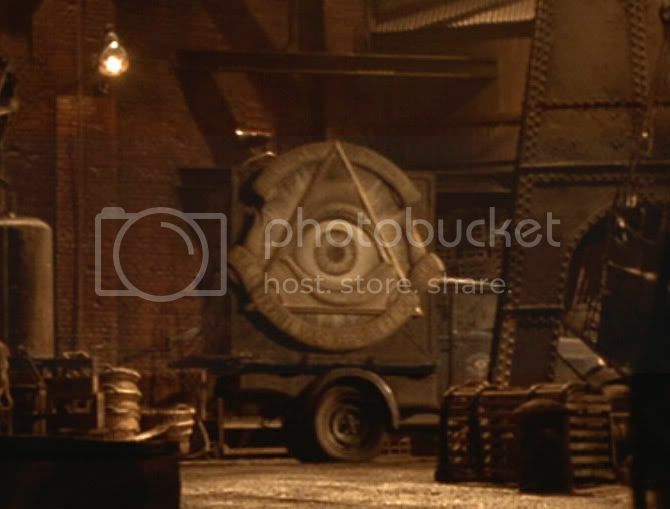 While Detective Abberline leafs through a history of Freemasonry, inexplicably written in latin, he focuses on three images: an all-seeing eye, a pentagram inside a square and compasses and the crossed-sword collar-jewel of the Inner Guard.. The Chief Police Commissioner, the Home Secretary and the head of the Secret Service discuss the Whitechapel murder investigation while looking down from a balcony during a initiation. 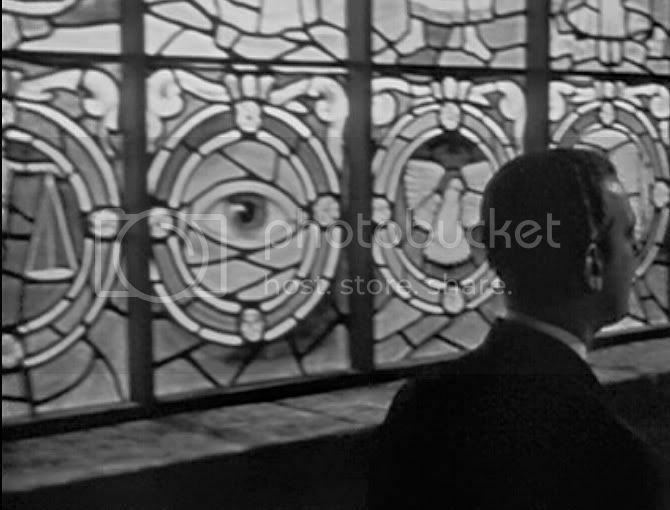 Inspector Abberline has an opium inspired vision. The Master of Disguise, (2002). Directed by Perry Andelin Blake Written by Dana Carvey & Harris Goldberg. "Many centuries ago, a remarkable family began to practice the magical art of disguise. Down through the ages they worked in secret, protecting the world from evil." 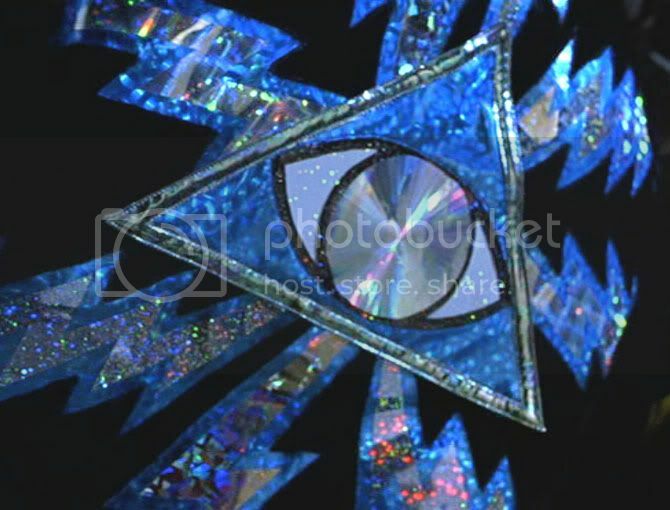 Unremarked is the Disguisey family crest, an eye in a triangle, seen here in the opening credits. Last edited by soulja; 11-01-2009 at 01:08 AM. In the near future, a military coup in the United States has imposed a Bible-inspired authoritarian regime. 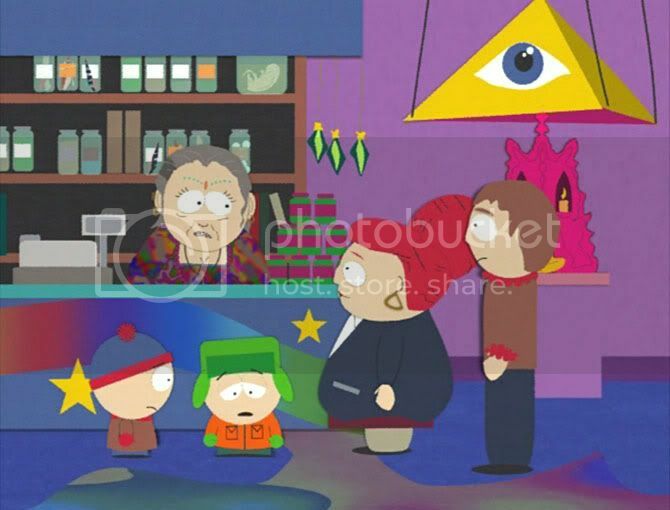 Their symbol is the all-seeing eye.. Directed by Alejandro Jodorowsky, written by Alejandro Jodorowsky. 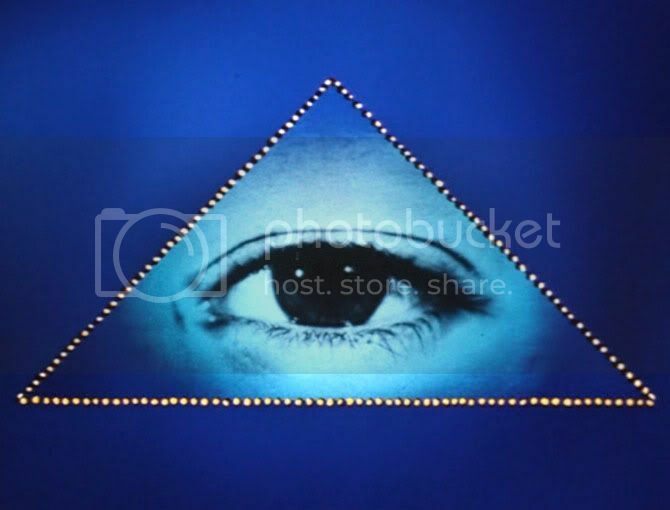 El Topo (the mole) is a gunfighter who, in the second half of the film, finds himself in a small town controlled by a religious cult that has draped the town in banners and posters of their graphic icon, an all-seeing eye within an elongated triangle. 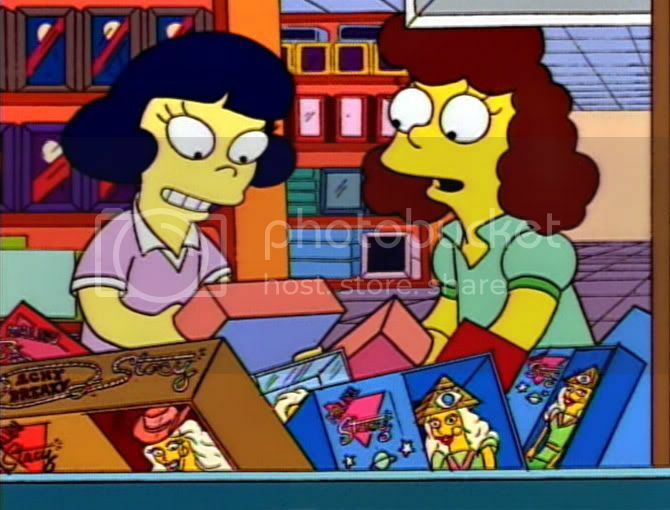 Episode 54 (Season 4, episode 6),Air Date: 28 June 2000. Minoriteam was an animated television series on Cartoon Network's Adult Swim. 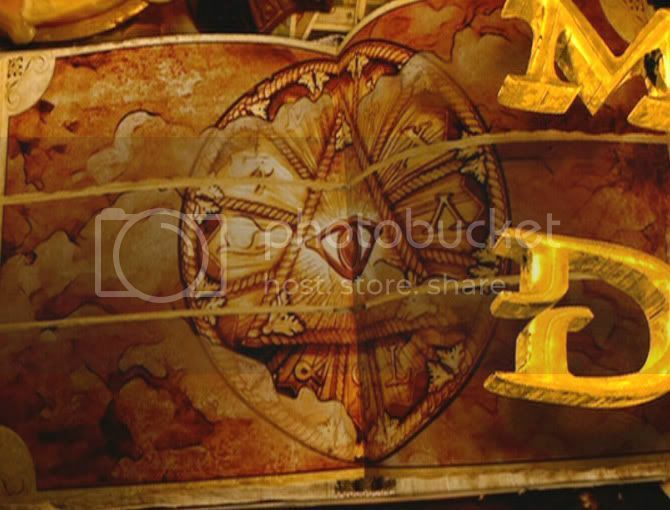 The pilot episode premiered on November 6, 2005, with new episodes included in the Sunday Line Up beginning March 19, 2006 and ending in July 2006. No further new episodes are planned at this time. 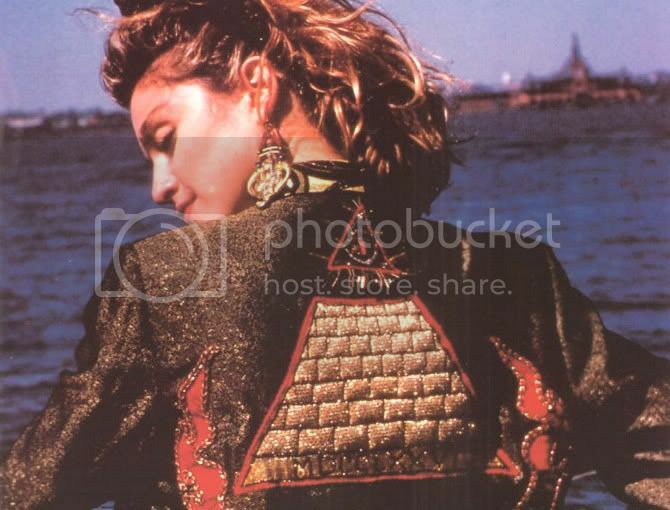 all those examples i've posted was just the obvious stuff, if one considers things like checker floor, certain numbers, Goddess references, the whole Blue/Red theme and lot's of other symbolism also masonic then i could go on posting examples all week. however seeing as those less obvious examples would be too easy for the sceptics to pick on and derail the thread i think it's better to leave it at that. 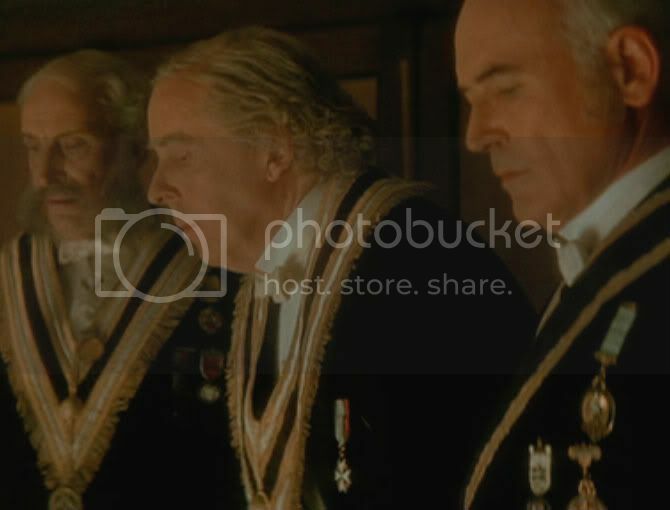 I think Young Sherlock Holmes the movie is masonic. Has anyone seen the film V for Vendetta staring natalie portman and hugo weaving? 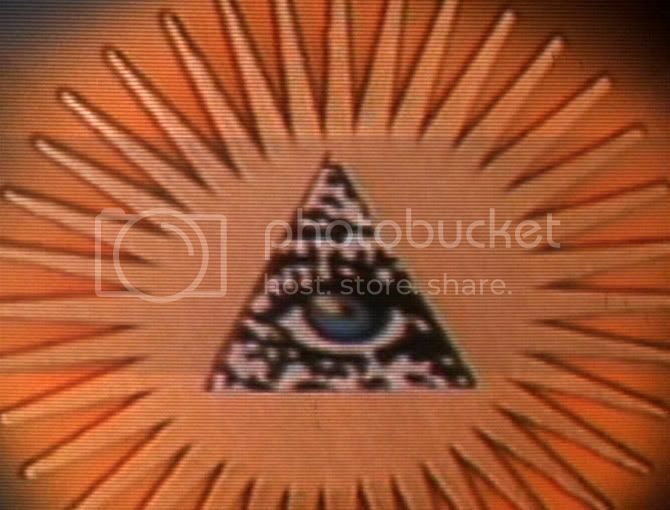 although a very good film i thought it's packed with masonic images and clearly is about the one world goverment and mind control, you have to watch it to be able to believe it. In parts of the film they show what a world would be like if we had curfews, very scary and enlightening at the same time. Last edited by wisdomgirl; 12-01-2009 at 04:13 PM.